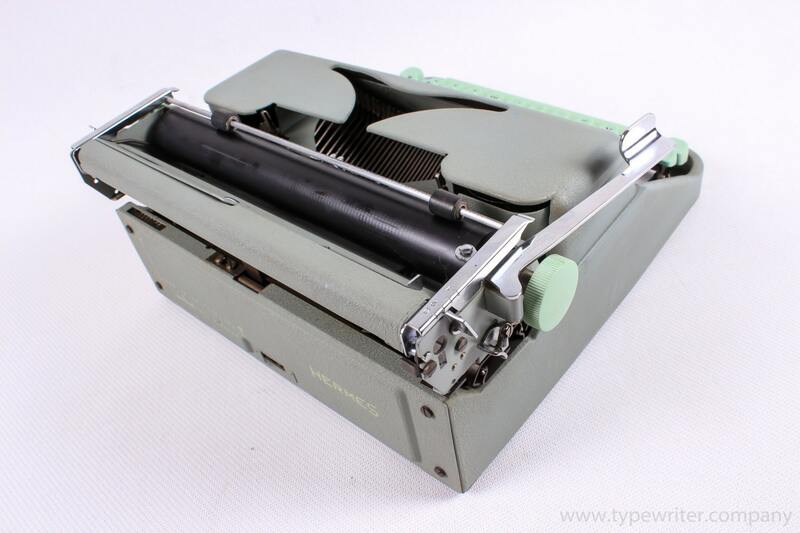 This typewriter uses German QWERTZ layout. 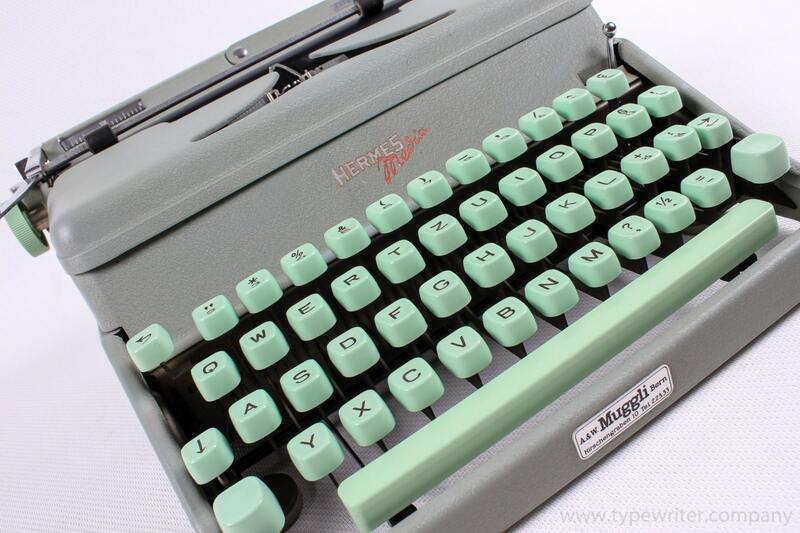 It's a beautiful 1950s piece, still working smoothly and looking stunning! This colour is quite rare, they're more common in black. 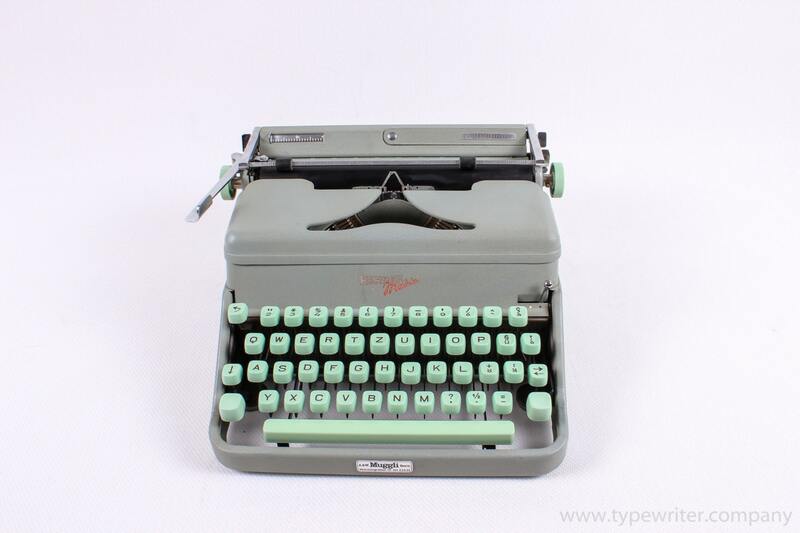 Clean, full working condition, in original matte mint green colour. 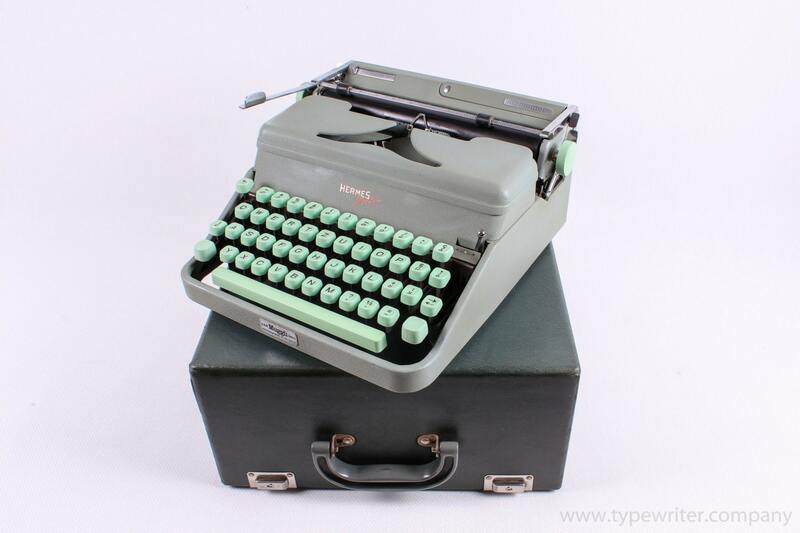 With the dark green original case. 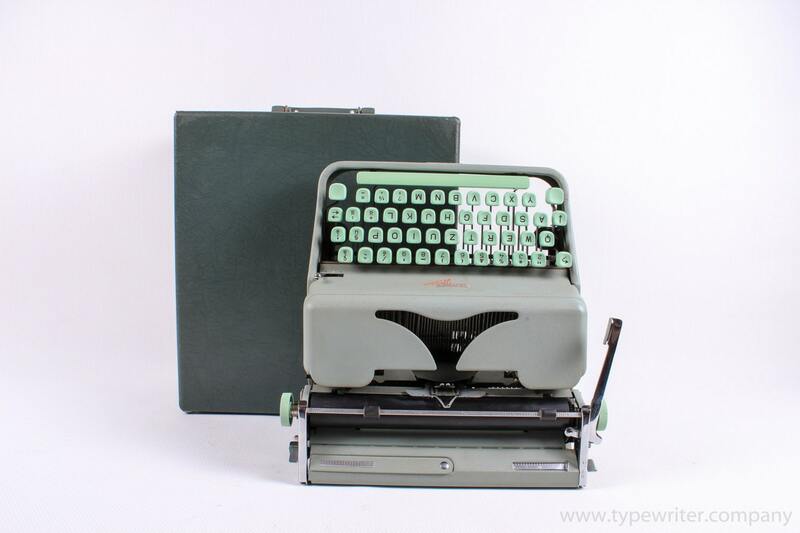 Very good vintage condition, small imperfections due to the age and usage. At the front there is a metal sticker: "A&W Muggli Bern, Hirschengraben 10, tel. 22333".